Green screen magic? Or surfing prodigy? *But I haven't seen Soul Surfer because of the whole shark thing. I want to but I am sooooo SCARED!!! *See those cute little social media circles under our family pic on the sidebar? They click to things. Fancy things. Technically I have a Facebook page, it exists in an abandoned sort of way... Paying attention to it is on the list. The list that never gets checked off. But it's there. Someday. Marina from Penny Lane Designs added them for me. If you think I know ANYTHING about blog design, you are sadly mistaken. She is the magic behind the curtain. All the pretty you see around here? Her. Not me. She knows what I want better than I do. Seriously. Total superhero. *I woke up way too early this morning for no reason. Dark o'clock. No likey. *Allegiant Air dropped the only two routes that mean anything to me. They are going into the notebook. *Yours truly is a member of the Housewife Chain Letter Club (a.k.a. passing on Amish Friendship Bread.) Kendra and Kara-Noel are the first recipients of their own bag of never ending starter. *My current favorite therapy is walking through Homegoods alone for an hour. *I made this easy appetizer and I want to marry it. I even ate it for breakfast the next day. *In January I was in desperate need of a haircut. Now it has progressed to a full blown hair intervention. Will someone please show up at my door with a pair of garden shears? Rapunzel is only cute in Tangled. *As this baby enters the karate kicking alien stage, I once again wonder how in the world the weirdoes on TLC didn't know they were pregnant. *Pinterest. I am in love. Most of my pins are for food (of which I can't even eat right now... more on that later) but it is so much better than my previously jumbled and uninspiring bookmarks folder. *I have some money sitting in my iTunes account. Dangerous. What should I spend it on? *Have you visited The Lens Loves? Because you should. It is beautiful and inspirational and happiness all in one place. *X-Men First Class. I'm crazy excited and nerdy. *Friday Night Lights. It is breaking my heart every week. But so, so, so good. *Registration closes for Blog Sugar in a few days. Do you have your ticket yet? Trust me, you want to be there! 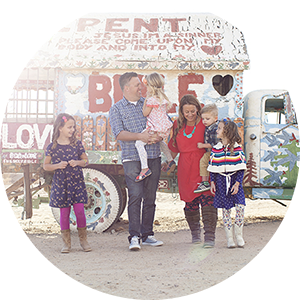 *Leslie and I hosted a Love For Anika craft night last week. It was so fun. I want to have 100 more. I can't wait to share. *Thank you so much for sharing your hearts and stories on this post. I am learning and growing so much from each and every one of you. I just pray that I can do justice to such a heartbreaking, beautiful, and necessary subject. *Happy June to you! Can you even believe it is already here? iTunes? Eddie Vedder's new Ukulele album. AWESOME. I'm using bullet points today. -Soul Surfer = so good. So, so good. -Homegoods therapy is, for me, almost as effective as anthropologie therapy. But oh so much cheaper. -Pinterest. Love it. I'm off to find you. -Blog Sugar. I'm there, girl. -It's June 1st and we had a high of 60* and it was pouring rain. 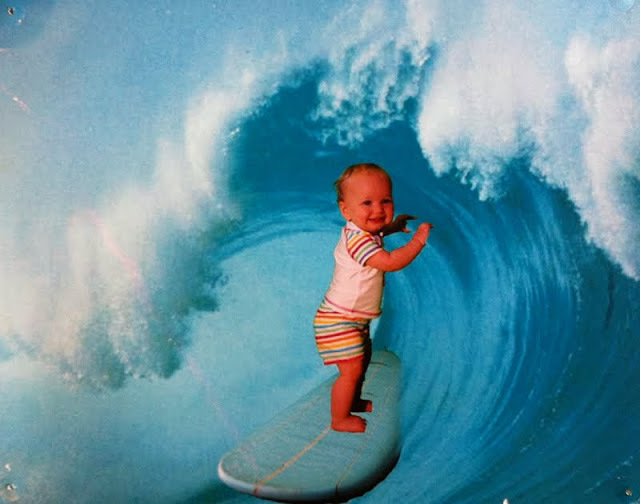 -And yes, surfing prodigy. Totally. Ahhh... pinterest. It will eat up your time, but make you smile. Have fun. 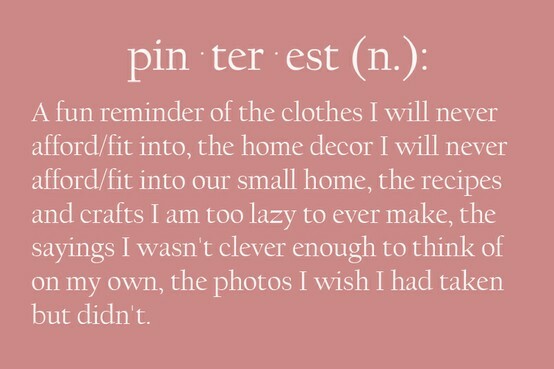 Oh Pinterest. I tried to avoid it as yet another online distraction... But then I won an invite so I HAD to. Also, brie is amazing. I made a similar recipe back in the day when I actually cooked things but with garlic cheese? smeared all over the brie then baked. Different feel, but oh so delish. i'm really kind of mad at you about that brie amazingness. i want it. now. [and hubs is at a church meeting. 5 kiddos sleeping.] SIGH. but, i'll forgive you. because i love you and because you had a Love for Anika party!!! thank you! can't wait to hear about it! Ok Miss Julie, I have been hearing a lot about pinterest and now that u r on there too, I decided I need to join. I went on and didn't realize u need an invite. If u have time, would u mind inviting me, pretty please? My email is lsharp79@comcast.net. I love reading your blog! I check everyday to see if u post. I get so excited when there is, I am such a dork! Both u and meg r my favorite "must reads". Thanks for being so awesome! Ok, just checked out the appetizer...yum! I make a similar one but it is just Brie and raspberry jam, so yummy! i am so glad you got that baked brie into your life. and having it for breakfast? i totally forgot to include that in the recipe. very important step. i can't believe they dumped my LA flight! stupid sketchy air!!! the only good news is, i am on the very last flight they offer before it goes bye bye in august....do i need to bring my scissors? :) we need to set up a lunch date at cafe rio!!!! Such cute dots under your darling photo. Love the hair bands in the girl's hair and are you wearing a pin or a necklace? SO need to look into Pinterest, sounds amazing! You're the best! Thanks a bunch:) can't wait to explore!!! That would be a super duper cute invite! Icant believe you were a surfer, that's pretty cool. i love a good homegoods field trip, partay of uno. actually, i love going anywhere alone. the post office. the grocery store. neighboring towns. so long as it's silent? sign me up. SO SO SOOOOOOOOOooooo with you on FNL. it hurts my heart to watch. but i can't stop. also, i miss riggins. prison is a bad thing. also, also. the deadbeat dad needs to go away. i have a sneaky suspicion he is going to ruin everything. and coach taylor's NOT gonna be happy. last night i learned that sharks never stop swimming, even while they sleep. or they die. which makes them even more scary. and isn't that brie fab??! i only pick friends that eat well. or well, we can't be friends. Soul surfer was a great movie! My 9 & 12 year old watched it & was kinda scared about shark attack too. She was out surfing music gets loud & then she is bit. It doesnt show actual attack. So, Soul Surfer was really good. But...I don't really want to go surfing after watching it. ;) And Halley is beyond precious! if you are a fan of sort of angsty yet beautiful folk-country, you MUST check out the civil wars. truly beautiful music. and it is joy williams' new band--as a ccm wife, i know you'll remember her! I pink, puffy, glittery heart this post. What are you going to do with your hair? Few inches or more? My hair is seriously making me break out in hives. Not sure what's up with that, but maybe a sign that I for realsies need to chop it. The closest HomeGoods is like 45 minutes away, and I always have the girls with me when I venture out, but it is still magical. Shut it down, you're on Pinterest? How am I not following you?? Off to fix that now. Also, I miss you. When do we get to hang out again?? There was so much that I loved about your post but especially 1) the baked brie, I had it for the first time two years ago and it is by far one of THE most delicious things on the entire planet! And 2) pinterest is quite possibly the most addicting thing EVER! Thank you so much for sharing the random and wonderful things in your life! You have to go to see Soul Surfer. It is amazing. Not so scary. I promise. I was worried too. So I took my youth group (can't really leave when you are suposed to be caring for other people's kids). Anyway, it was nicely done. Far less about the bite and far more about what God does through her. A VERY good movie!